Gave this as a gift to a friend who loves it. Looks elegant and expensive. The face is readable. Looks like jewelry rather than a functional object. Very definitely worth the price. 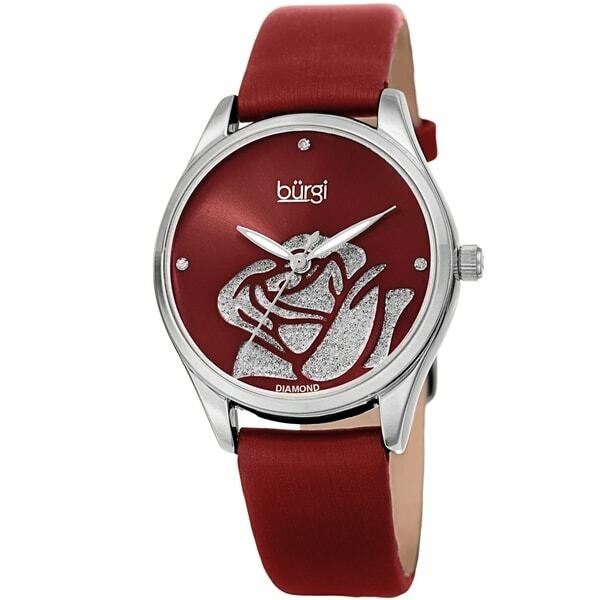 This lovely Burgi timepiece features a beautifully polished case with a beveled bezel. The sunray dial is decorated with a glitter rose pattern. Sparkling diamonds mark the hour at three positions. Wear this stylish watch to make a fashion forward statement on your wrist!